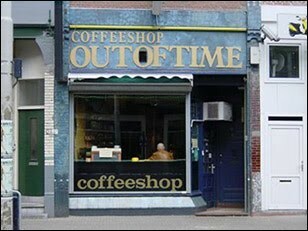 Coffee shop out of time is more a shop for locals i would say. It did not inspire to stay. Cheaper prices than elsewhere in the center, good quality. They have a second coffeeshop in the south of rotterdam called Puck. Check the comments about coffeeshop Out of Time in the comments section at the bottom of the page!